When the liver becomes scarred, it can result in abnormal liver function or chronic damage. Cirrhosis of the liver impacts the lives of around two percent of the United States population and is the seventh leading cause of death in adults between the ages of 25 and 64. As one of the most vital organs in the body, it is important to seek treatment for any condition which may affect the liver. 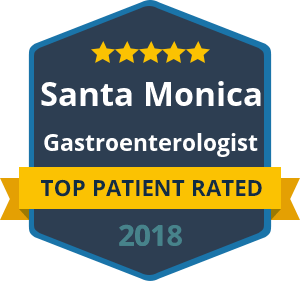 Dr. Yamini is a leading gastroenterologist in California, with offices in Santa Monica and Beverly Hills. He can provide diagnosis and treatment for cirrhosis of the liver and related gastrointestinal tract conditions. If you are experiencing symptoms associated with cirrhosis of the liver, it is vital that you seek a diagnosis immediately in order to increase the chances of a best-case-scenario outcome from treatment. Symptoms of cirrhosis of the liver may include jaundice, digestive tract bleeding, fatigue and hepatic encephalopathy. Other symptoms include swelling around the liver or a feeling of pressure that isn’t always accompanied by pain or discomfort. Identifying cirrhosis of the liver early plays a crucial part in effective treatment. Cirrhosis of the liver may result from drinking alcohol, inherited disorders, toxin exposure or viruses. An experienced and reliable gastroenterologist will provide diagnosis and explore potential treatments on a case-by-case basis. As well as receiving treatment, you may need to eliminate social and environmental factors that contributed to your development of cirrhosis of the liver. Once the liver is scarred the impacts may be permanent, so it is critical to consult with a gastroenterologist if you have experienced any of the symptoms. Dr. David Yamini is here to help. Contact our offices in Santa Monica or Beverly Hills if you need advice or to book an appointment.